When the first cellphone was released in 1983, this breakthrough technology was reserved for high-ranking business people and the social elite. Decreasing technological costs eventually resulted in cellphones becoming arguably the most common technology available today. In fact, recent statistics from the United Nations reveal that there are almost as many cellphone subscriptions as there are people on Earth. This is indicative of a technological trend known as quality-adjusted price, which ties closely to the concept of Moore's law. As technology develops at a pace that leads to significant performance increases, the cost of that technology decreases at a similar pace. This presents an important opportunity for smaller organizations to take advantage of newer technologies that were previously only accessible to large companies. In the food production industry, for example, there has been a significant increase in the adoption of digital technologies and software among larger businesses. However, food manufacturing companies of all sizes can tap into the productivity and efficiency benefits offered by digitalization. 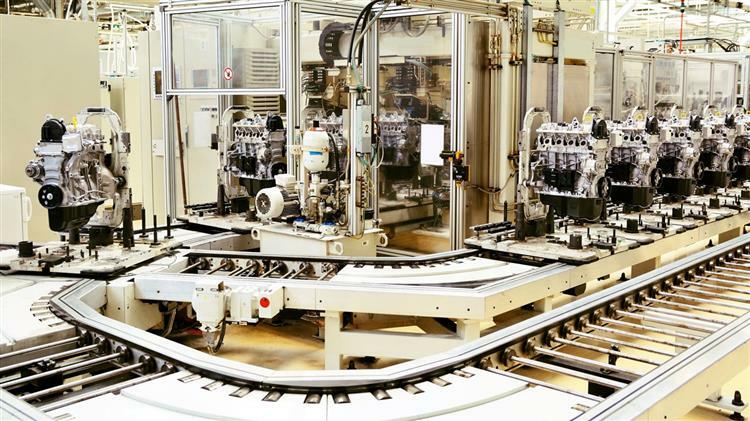 While equipment and robotics have been key drivers of plant improvements over the past decades, the rise of the industrial internet of things (IIoT) has placed greater importance on software and insight. In particular, many plant managers now use digital solutions to monitor the status of equipment and mitigate performance problems. For instance, most food-processing plants have automated at least one part of their production line with a conveyor system. As with any piece of equipment, parts of this system will gradually wear down from repeated use over time. For critical components such as the motor, this leads to a slow decline in performance and risks downtime due to breakage. Plant managers must therefore undertake predictive maintenance to address any issues before they become problems. To do this effectively, you must have accurate performance data from the conveyor's low-voltage motors. Rather than invest in new systems that feature IIoT functionality, plants can install multi-function sensors to collect and analyze performance data. These sensors can fit directly onto the motor's frame and monitor key performance factors such as temperature and vibration. Data is transmitted to the cloud, where it is analyzed, and reports are generated for plant engineers. This data can provide new insight into the health of the motors used in production, enabling a shift from reactive maintenance to predictive maintenance. With a simple "stoplight" system of green, yellow and red lights, fleet motor status is simple to assess. Just as cellphones are no longer exclusive to the likes of CEOs, digitalization is no longer reserved for large food production plants. By investing in the right equipment, plant managers can start integrating the benefits of digital technology at a pace and budget that meet their production. Markus Brettschneider is a senior vice president and general manager for global food and beverage applications at ABB.